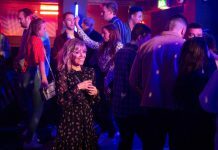 EMMERDALE EPISODES: Debbie Dingle and daughter Sarah face the future as a heart becomes available in tragic circumstances, Matty gets a new job but gets his wires crossed with Victoria on the romance front. 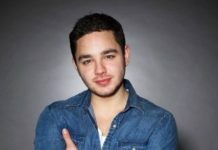 Talking of romance, Rishi is still seeing Manpreet, but can Jai keeps up the pretence, while he also helps Megan try to win back Frank. 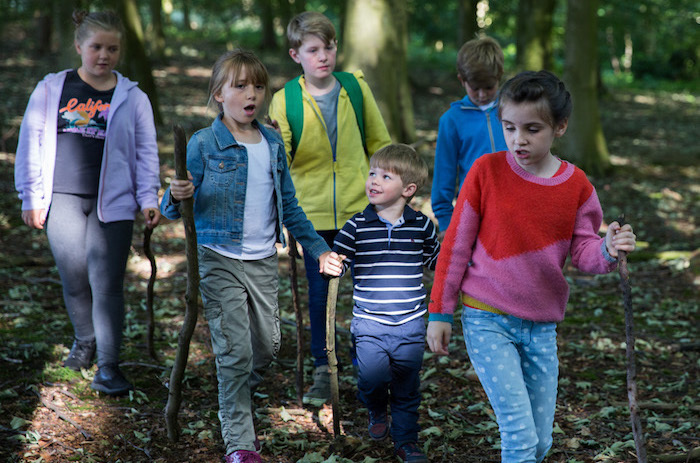 Beth makes trouble for the Spencers while the kids make a discovery in the woods. 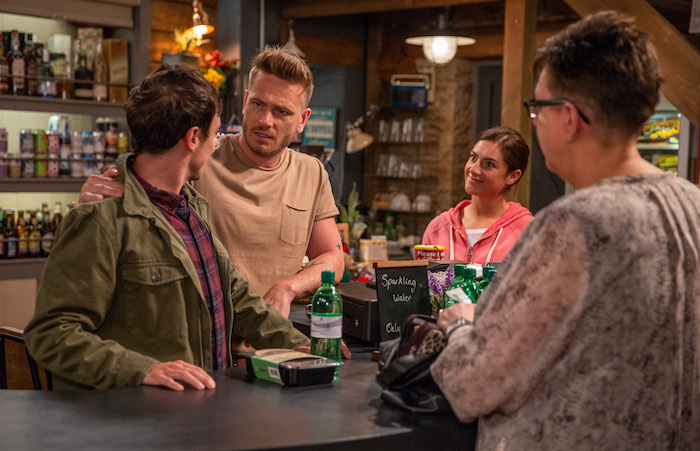 Mon 6 Aug 2018: Bob Hope apologises to Laurel Thomas over not being honest about losing his job at the cafe. 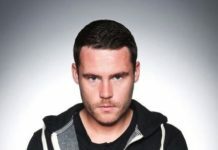 But there is still some tension between them. 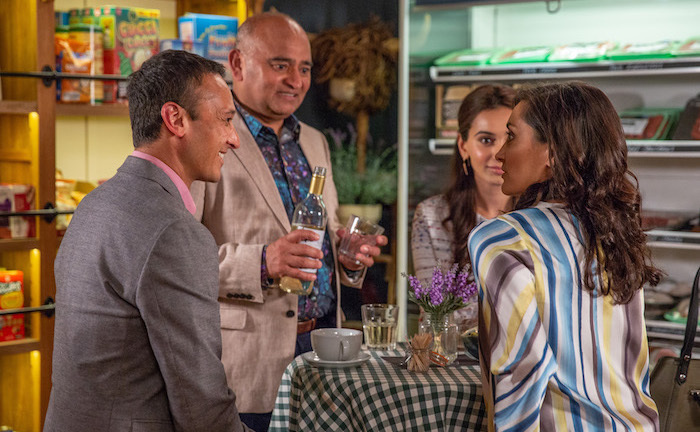 Mon 6 Aug 2018: Rishi Sharma, desperate to continue seeing Manpreet, pleads with Jai Sharma to go on one more date with Aiesha. 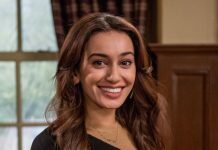 Mon 6 Aug 2018: Will the double dating work for Rishi to keep Manpreet in his life? 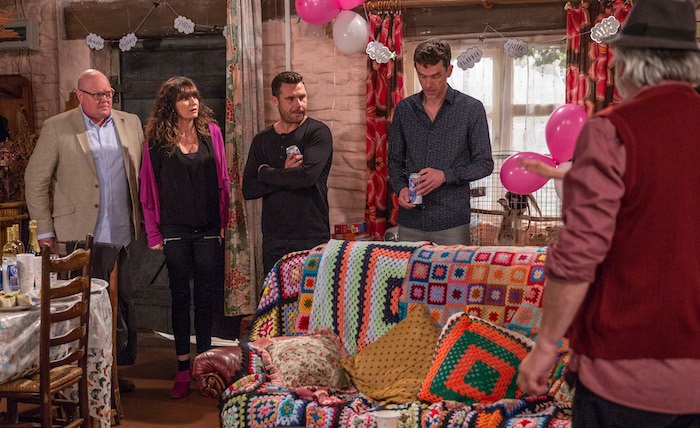 Mon 6 Aug 2018: Paddy Kirk and Chas Dingle are overwhelmed when Faith goes over the top with a party. 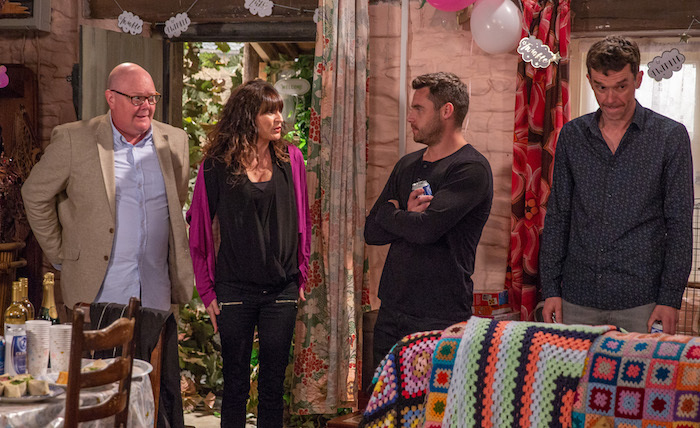 Mon 6 Aug 2018: How will Paddy Kirk and Chas Dingle react to Faith’s party plans? 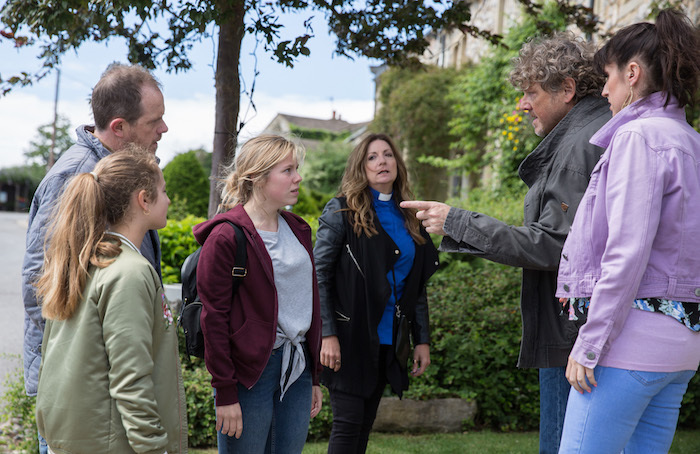 Tues 7 Aug 2018: Amelia Spencer manages to get away to track down Beth but Harriet is on her tail. 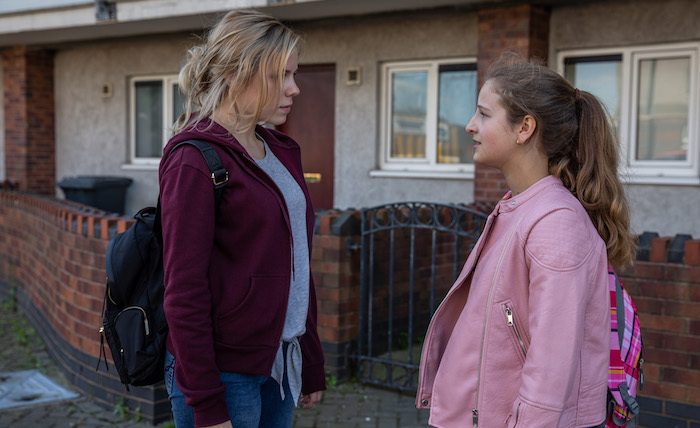 Tues 7 Aug 2018: Amelia Spencer is soon devastated when Beth rejects her. 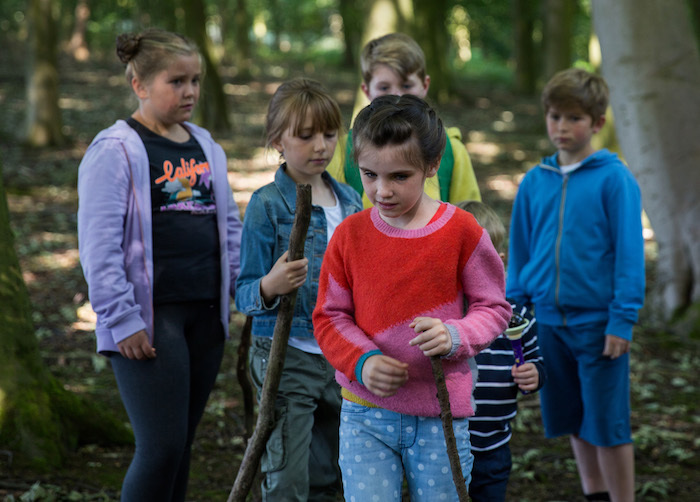 Tues 7 Aug 2018: What have the Emmerdale kids discovered in the woods? Tues 7 Aug 2018: Rebecca White hears something outside. Is it help? 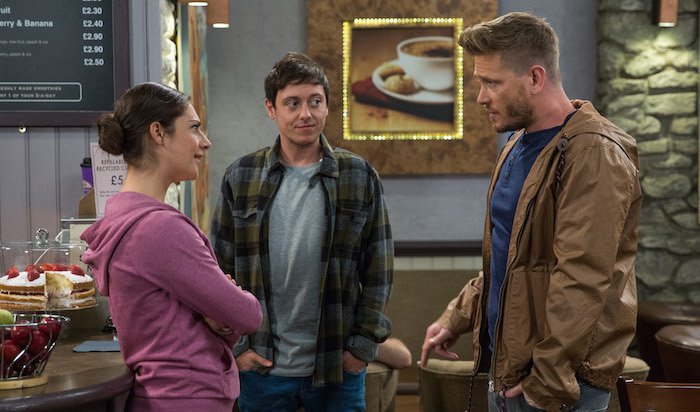 Tues 7 Aug 2018: On hearing something Rebecca White struggles against her bonds to look outside the window. 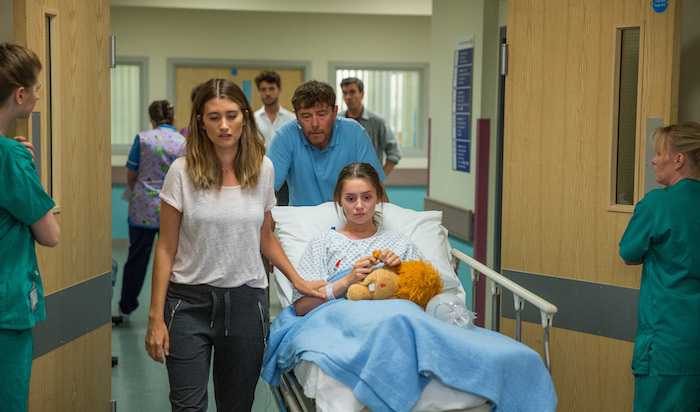 Tues 7 Aug 2018: Rebecca White gives up, weeping tears of anguish, as she fails to get help. 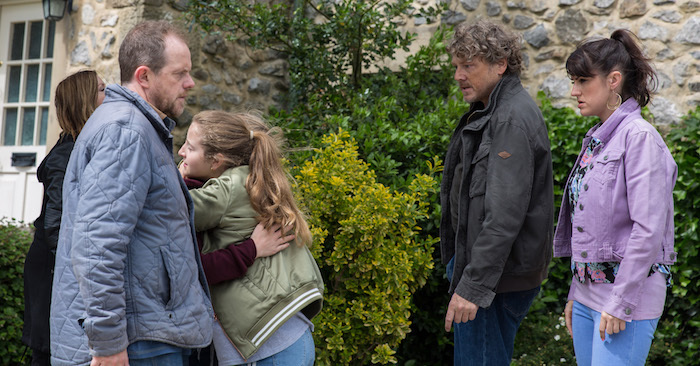 Wed 8 Aug 2018: Beth is back in the village creating more problem for the Spencers. 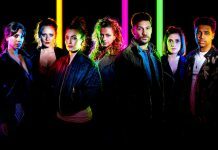 Wed 8 Aug 2018: Will Beth pull the Spencers apart again? 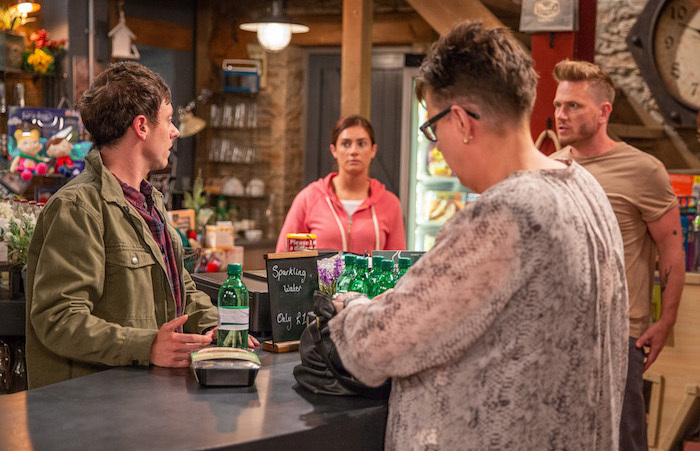 Wed 8 Aug 2018: David Metcalfe offers Matty Barton a job in the shop. 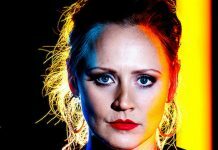 Thurs 9 Aug 2018 – 7pm: In the hospital, Debbie Dingle meets Dom, one of Sarah Sugden’s friends on the ward. 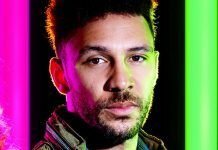 Thurs 9 Aug 2018 – 7pm: Later, everyone is shocked when Dom suddenly collapses. 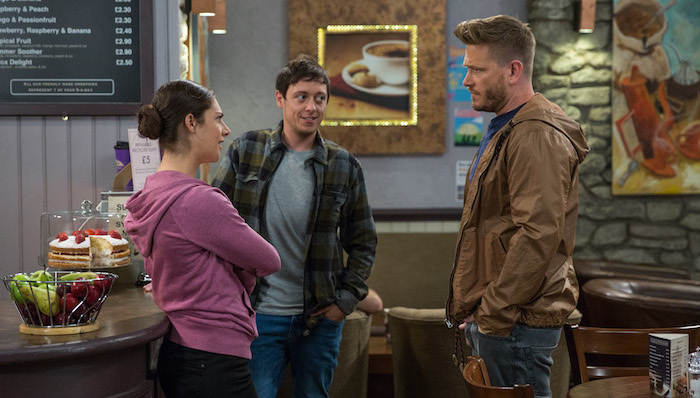 Thurs 9 Aug 2018 – 8pm: Matty Barton gets the wrong idea when he witnesses Victoria Barton and David Metcalfe’s flirty banter. 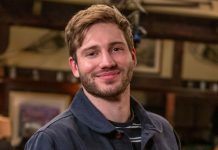 Thurs 9 Aug 2018 – 8pm: Matty Barton is oblivious to Victoria’s true feelings. 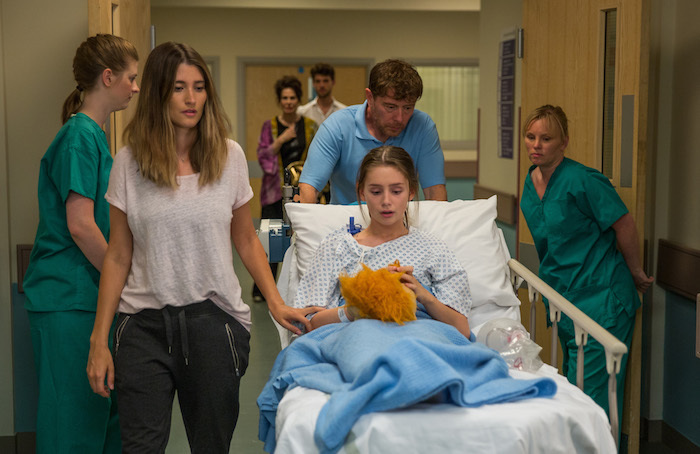 Fri 10 Aug 2018: Debbie Dingle starts to panic when the cardiologist asks to speak to her in private. 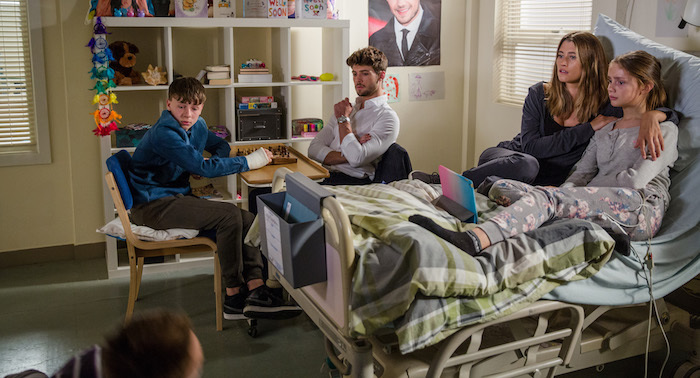 Fri 10 Aug 2018: Debbie Dingle’s plagued by mixed emotions when they explain they’ve found Sarah Sugden a new heart. Fri 10 Aug 2018: Debbie Dingle is clearly struggling with her fears. 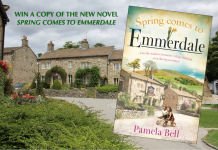 As they prep Sarah for the op will it all go to plan? 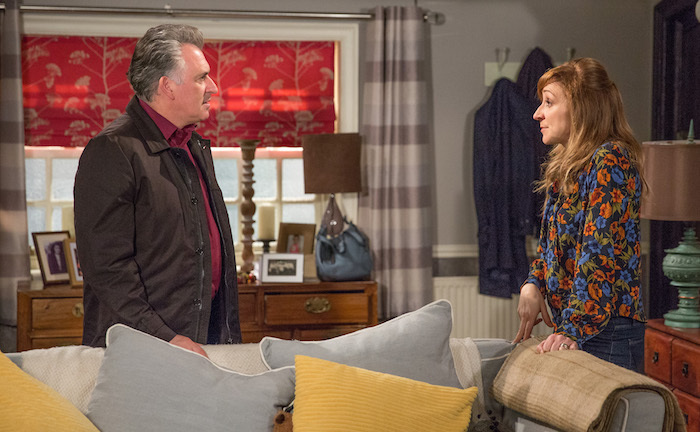 Fri 10 Aug 2018: When Frank Clayton rejects Megan Macey, Rishi Sharma offers to help her win him back. 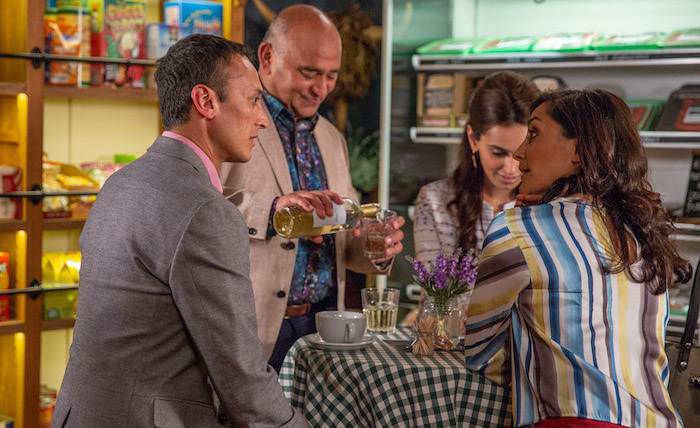 Fri 10 Aug 2018: Rishi Sharma soon comes up with a plan to reunite Megan and Frank? 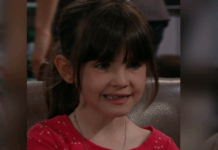 Fri 10 Aug 2018: Megan Macey puts Rishi’s plan into action – Will it work?